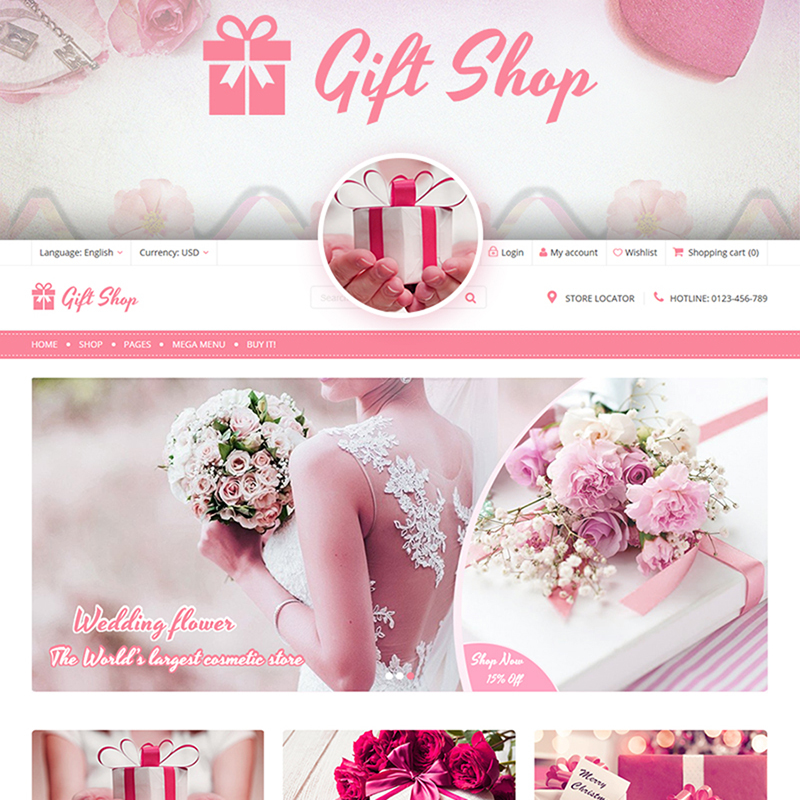 Roses are red, violets are blue, we need to decorate our website for St. Valentine’s Day… What about you? Enough poetry (or something that reminds of poetry) for today. There are much more important things that we should discuss today. The holiday that we have already mentioned is always associated with some romantic stuff. You know, boxes of chocolates, jewelry, bouquets, and many other things. It is a day when people celebrate love. There is one more thing that cannot be forgotten. We are talking about buying these very gifts. Unfortunately, we cannot help those people who are bothered by finding gifts for their beloved ones. Yet if there are interested in web-design, we will eat our words. For the reason that this article will give you a chance to get familiar with assets developed especially for this holiday. 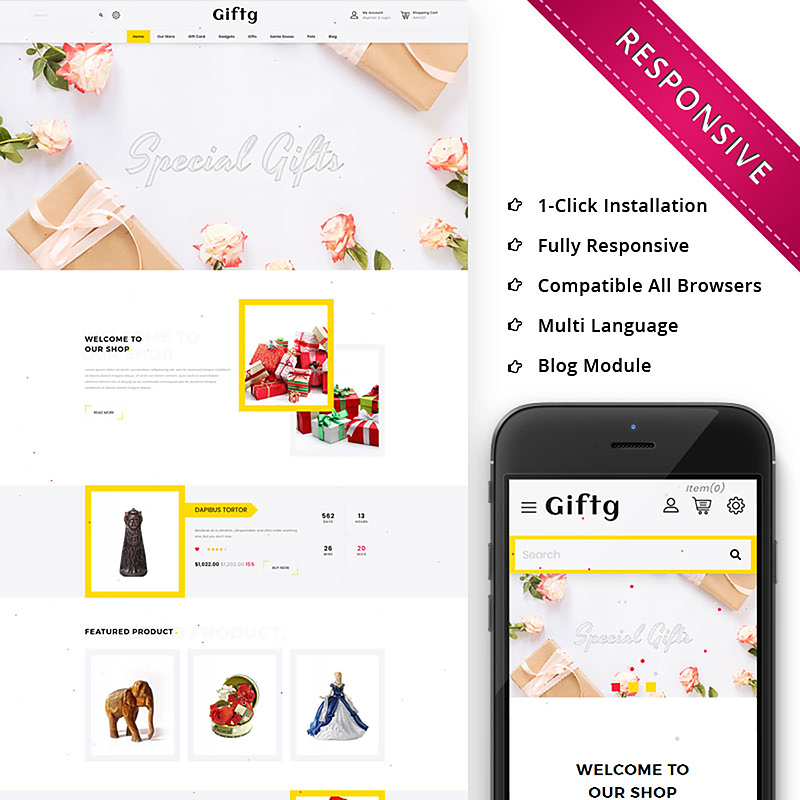 If you want to give some air of romance to your online-project, you will find all the necessary things to realize this goal. If you want to create tailor-made cards or invitations, you will also get something interesting. Of course, if intend to give a digital present, there is something that you can definitely pay attention to. If you look closer at these stunning illustrations, you will understand that all of them are highly-detailed. For this reason, it becomes possible to use them for patterns, frames, borders, and textures. Do you want to print these images? You can do it without any problems. It will be also easy to edit them in terms of colors, sizes, and so on and so forth. fantastic category layouts as left and right sidebar, grid and list view, and sticky sidebar. In order to come up with the most adorable invitations, cards, party printables, and branding, you certainly need to pay attention to this package. 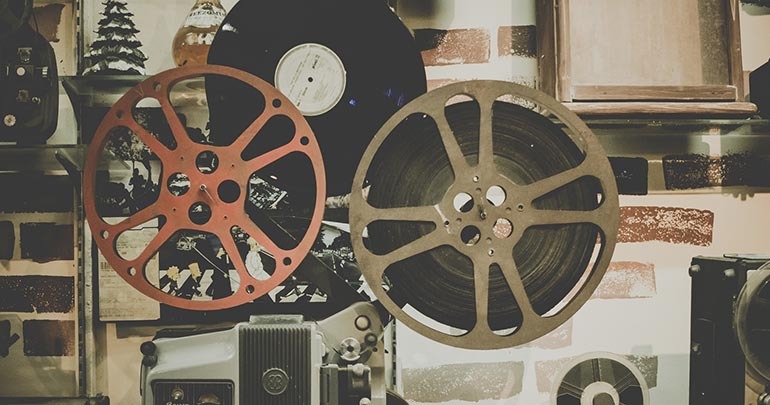 You will find here everything you need in order to win the hearts of your audience. Find out more about files included in this collection here and now. The Internet is overloaded with online-shops where people sell a wide range of products. Before holidays, there is one type of website that becomes extremely popular. If you are thinking about gifts now, you are completely right. There is one excellent ready-made solution that you can use in order to create an online-store of your own. This all-in-one-solution will provide you with a chance to start your business on the web. In addition to this, your step into the world of eCommerce will be more than successful. Thanks to a bunch of features that lots of people have already found very helpful. You need to find out more about them too right now. 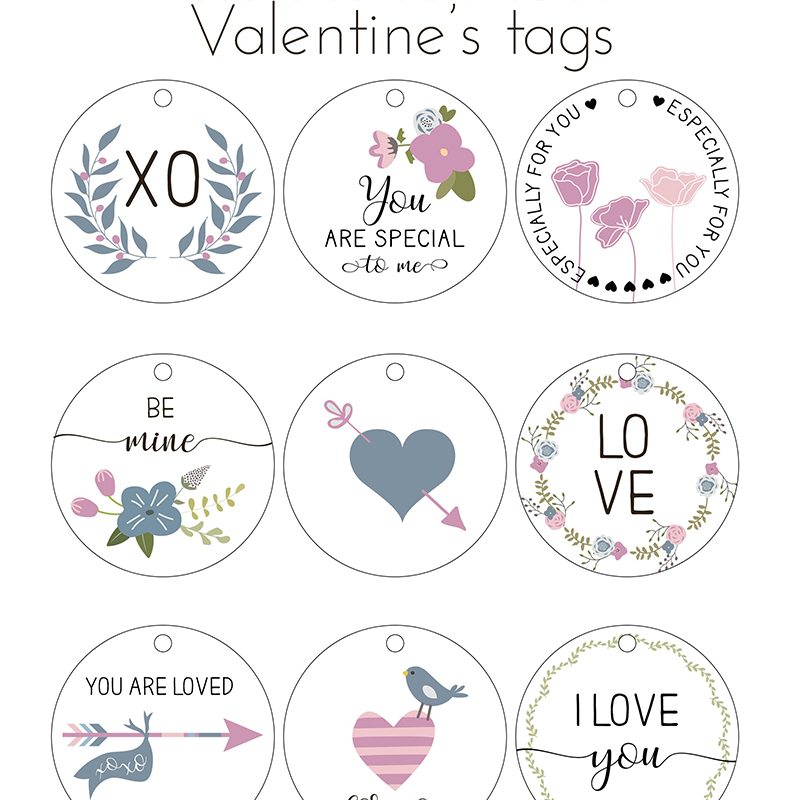 There are lots of ways to decorate your online-project in honor of St. Valentine’s Day. Yet we can provide you with the easiest one. We are talking about some typical hearts and arrows. If you think that they are going to have the most ordinary look ever, it is not true. All elements included in the package were hand-drawn. This means that they are completely unique. By means of them, it will be also possible to create eye-catching logos, cards, invitations, scrapbooking, wedding postcards, and so on and so forth. You will be certainly surprised by the final result. By the way, you need to know exactly what you will get. are 300 dpi (and a watermark is not included in the files). This template includes all the features you may expect from a top-of-the-line ready-made solution. 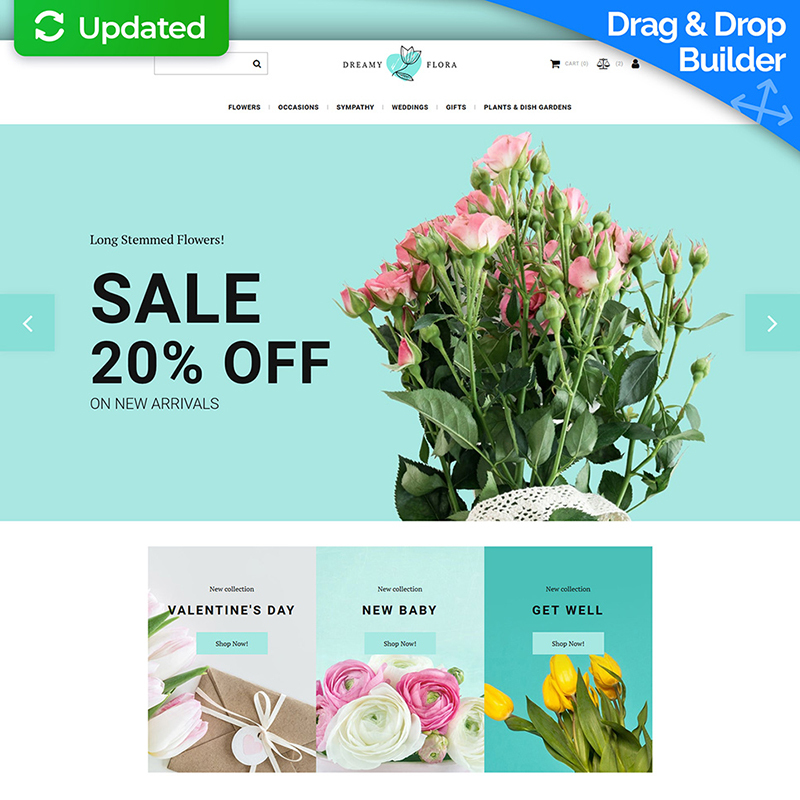 You can choose it in order to start selling flowers on the web. It has lots of tools that will make it possible to customize your website according to your wishes. In such a way, your online-store will express your individuality and ideas. By the way, it is important to get familiar with a list of features included in the package. Let us present those ones that we consider to be the most important ones. contact form in order to make possible to get in touch with your team. 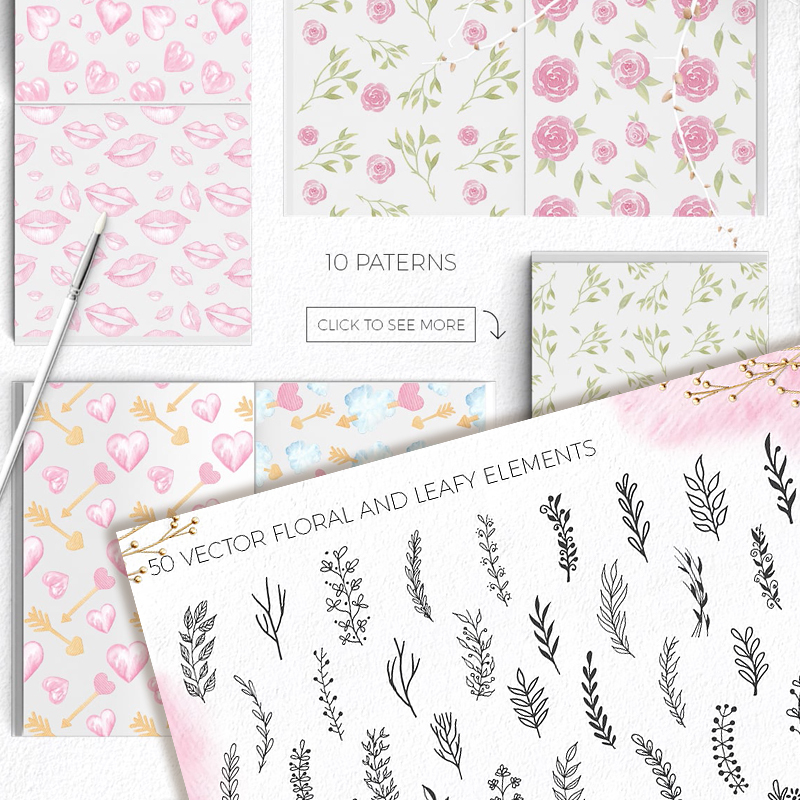 One more variant of watercolor illustrations designed for your next project. Do you want to create sumptuous posters, greeting and romantic cards, book or notebook covers, postcards, and quotes? There is a huge number of elements that you definitely to take advantage of. These patterns, decorative elements, and illustrations will catch the eye of every single person. Below you can find a list of all the elements that you are going to get. 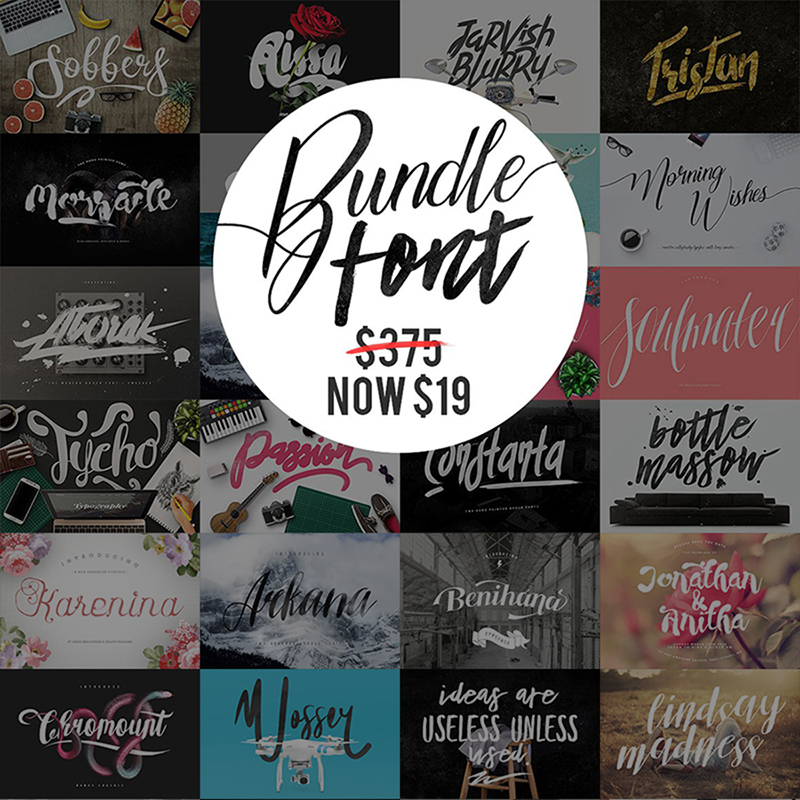 Have you decided to get some typography logos? If you think that you will spend lots of time on your search, forget about this thought. 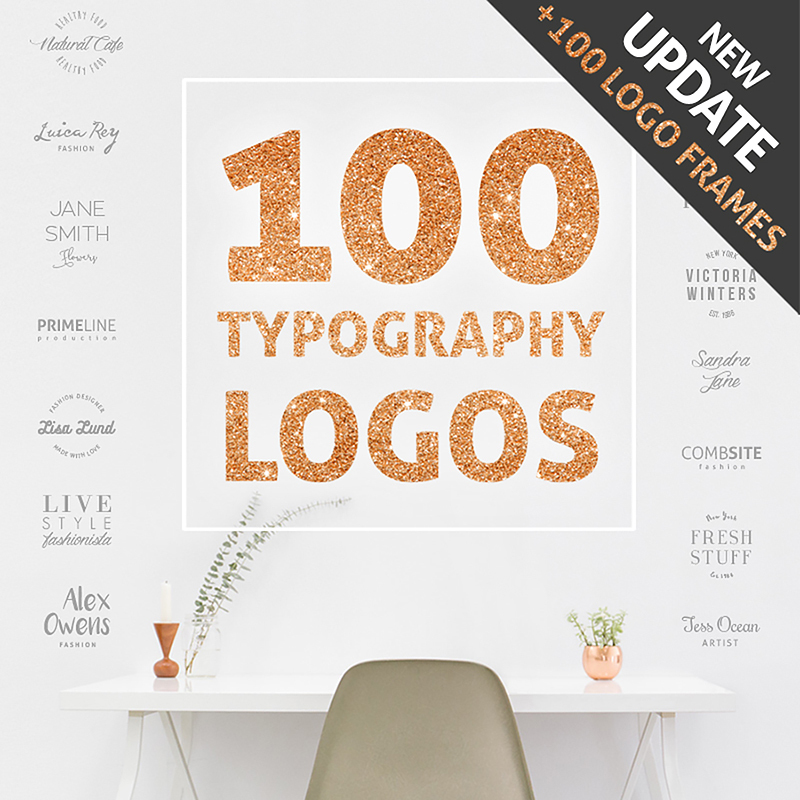 We have an amazing set of typography logos with different styles. It does not matter what project you have in mind. You will find something that will fit its main concept in this small collection. What is more, you do not need to wander all over the web to search fonts that will create a suitable match. 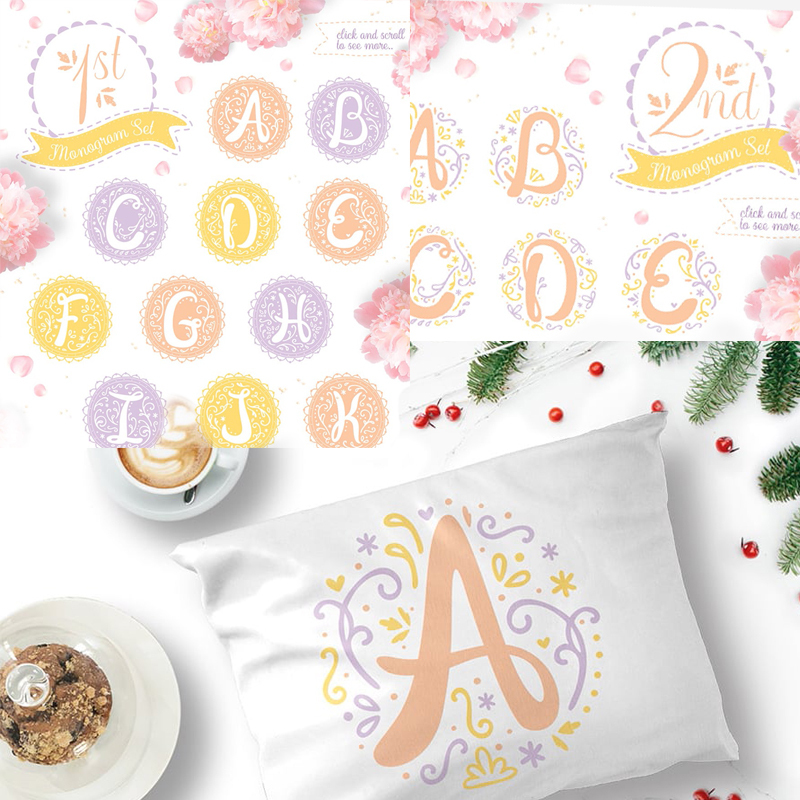 You will also have a chance to complete your typography logos with frames. As you can understand, your possibilities are almost endless. Let us explain to you what makes this package be so incredible. What Does This Package Have? Below we included names of all fonts that you will get. Even their names claim that you cannot pass by such a style and expression mixed in one single package. Believe us, it is impossible to use them and not get lots of fans. 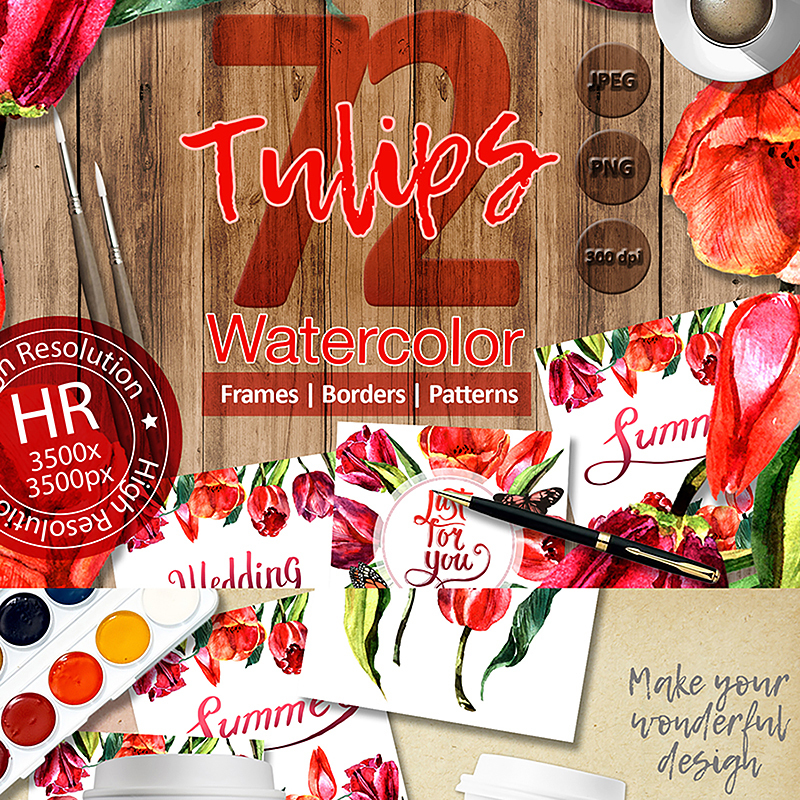 These wildflower red tulips have already won hearts of many people all over the web. We are talking about both designers and viewers. If you are willing to play around with some unusual elements, this package can be called your perfect one. There are 72 files that you will find in this collection. This means that it will be no limit for your imagination. 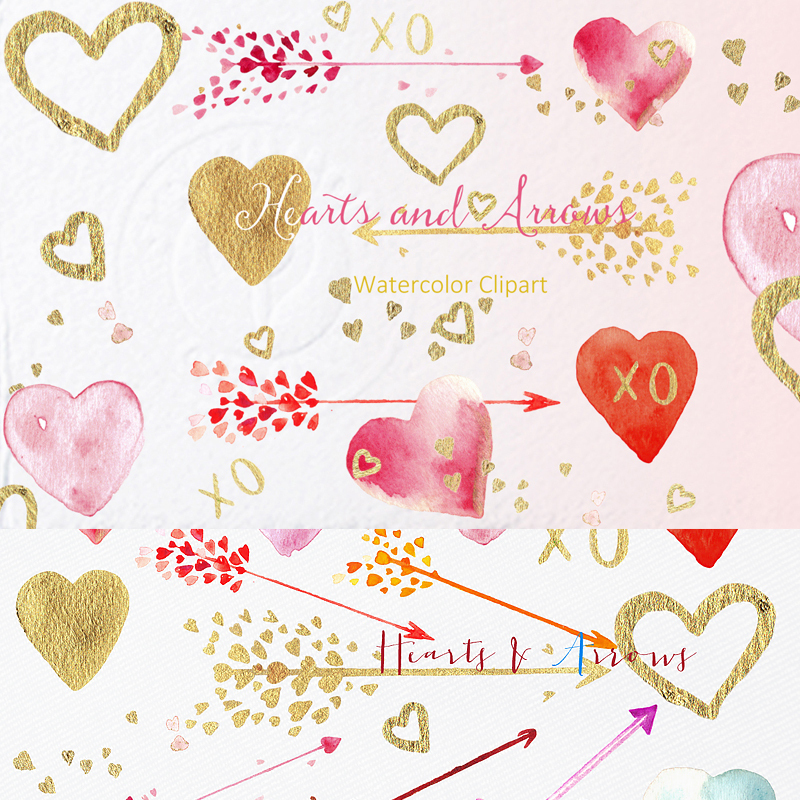 Take advantage of these aquarelle elements to create textures, patterns, borders, framers, and backgrounds. They are considered to be one of the most amazing choices if you desire to make a huge impression on people. By the way, you can also print them if you need. Do you want to make some edits in size and color aspects of these illustrations? It is completely no problem. Just open Adobe Photoshop and make all changes your soul wants. As you can understand, everything depends only on your taste. Do you think that roses are better than tulips when it comes to St. Valentine’s day? In this case, we have a great solution that you will be certainly satisfied with. 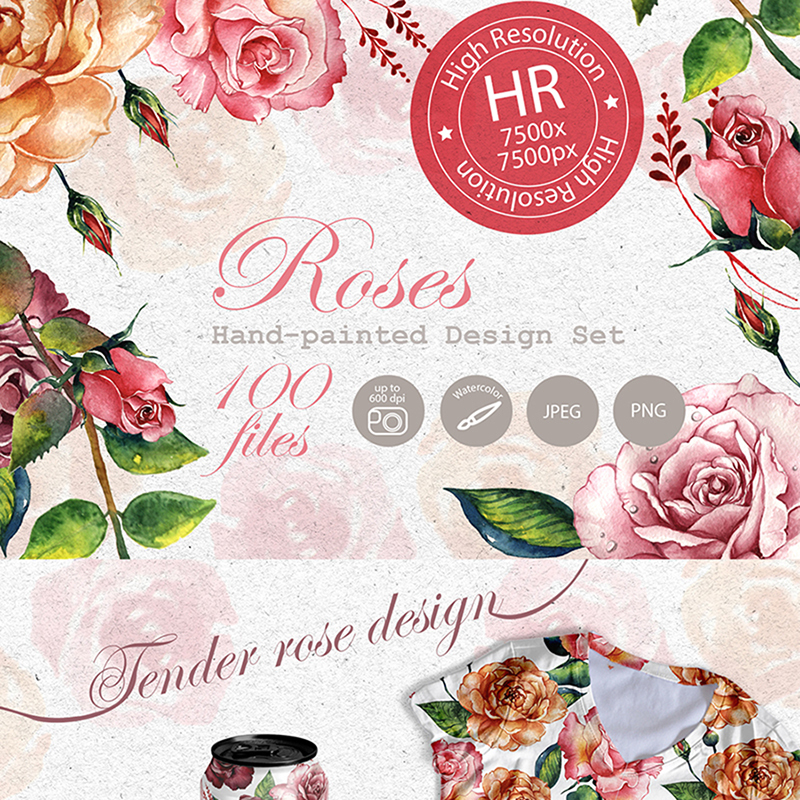 We are hinting at this very pack that included lots of colorful roses to suit everyone’s taste. They are fully-editable which means that you can easily work with its aspects as size or colors. Do not forget that you need to have Adobe Photoshop to do it. In general, there are 100 files that are going to impress your imagination. Among them, you will find multiple isolated images, patterns, borders, and frames. It is an obvious thing to say but you can use them in all possible projects. Wedding invitations, posters, quotes, greeting cards, and others… Do not lose your chance to make these creations become unforgettable. Make a decision to grab this watercolor set in order to show off your talent. and some other sweet words. There is no need to lose your time. 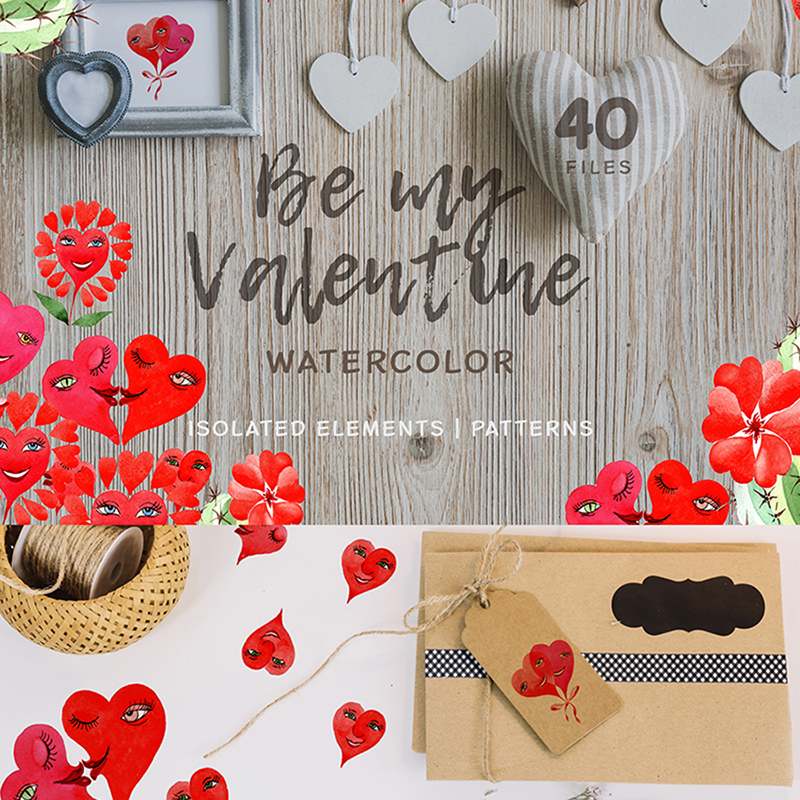 Choose the most lovely illustrations, fonts, and other sweet stuff and start making your project look romantic here and now. Show your affection and make everyone do it too together with these assets. Thanks for reading!